For centuries, historians and archaeologists have puzzled over the many mysteries of Stonehenge, the prehistoric monument that took Neolithic builders an estimated 1,500 years to erect. 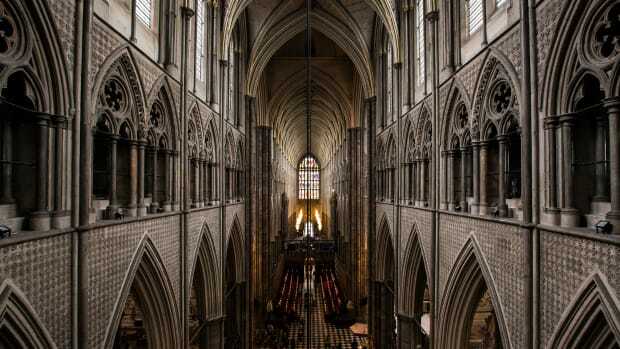 Located in southern England, it is comprised of roughly 100 massive upright stones placed in a circular layout. While many modern scholars now agree that Stonehenge was once a burial ground, they have yet to determine what other purposes it served and how a civilization without modern technology—or even the wheel—produced the mighty monument. 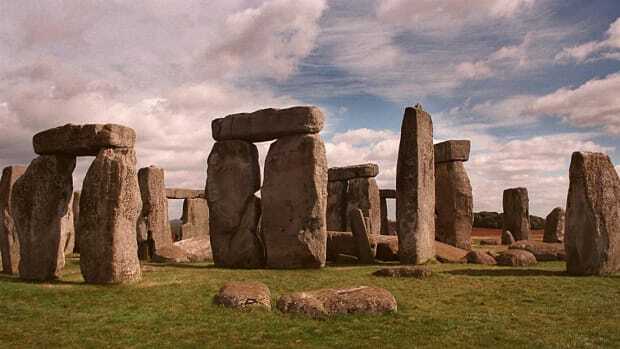 Its construction is all the more baffling because, while the sandstone slabs of its outer ring hail from local quarries, scientists have traced the bluestones that make up its inner ring all the way to the Preseli Hills in Wales, some 200 miles from where Stonehenge sits on Salisbury Plain. Today, nearly 1 million people visit Stonehenge, a UNESCO World Heritage Site since 1986, every year. Archaeologists believe England most iconic prehistoric ruin was built in several stages, with the earliest constructed 5,000 or more years ago. First, Neolithic Britons used primitive tools—possibly made from deer antlers—to dig a massive circular ditch and bank, or henge, on Salisbury Plain. Deep pits dating back to that era and located within the circle—known as Aubrey holes after John Aubrey, the 17th-century antiquarian who discovered them—may have once held a ring of timber posts, according to some scholars. Did you know? 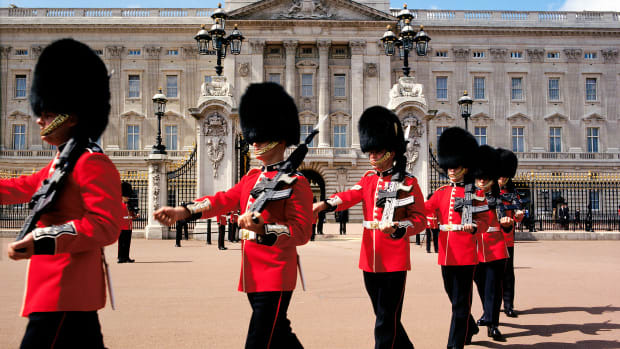 In 1620, George Villiers, 1st Duke of Buckingham, dug a large hole in the ground at the center of Stonehenge looking for buried treasure. 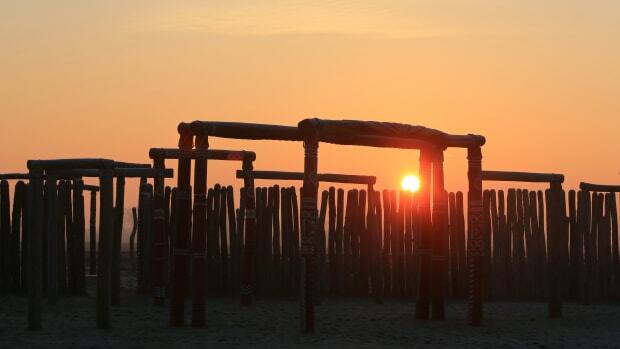 Several hundred years later, it is thought, Stonehenge’s builders hoisted an estimated 80 non-indigenous bluestones, 43 of which remain today, into standing positions and placed them in either a horseshoe or circular formation. 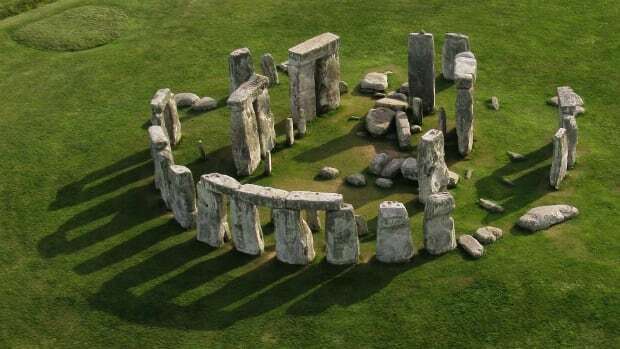 During the third phase of construction, which took place around 2000 B.C., sarsen sandstone slabs were arranged into an outer crescent or ring; some were assembled into the iconic three-pieced structures called trilithons that stand tall in the center of Stonehenge. Some 50 sarsen stones are now visible on the site, which may once have contained many more. Radiocarbon dating suggests that work continued at Stonehenge until roughly 1600 B.C., with the bluestones in particularly being repositioned multiple times. READ MORE: What Made Stonehenge&apos;s Builders Collect Massive Stones from 180 Miles Away? Stonehenge’s sarsens, of which the largest weighs more than 40 tons and rises 24 feet, were likely sourced from quarries 25 miles north of Salisbury Plain and transported with the help of sledges and ropes; they may even have already been scattered in the immediate vicinity when the monument’s Neolithic architects first broke ground there. The smaller bluestones, on the other hand, have been traced all the way to the Preseli Hills in Wales, some 200 miles away from Stonehenge. How, then, did prehistoric builders without sophisticated tools or engineering haul these boulders, which weigh up to 4 tons, over such a great distance? According to one longstanding theory, Stonehenge’s builders fashioned sledges and rollers out of tree trunks to lug the bluestones from the Preseli Hills. 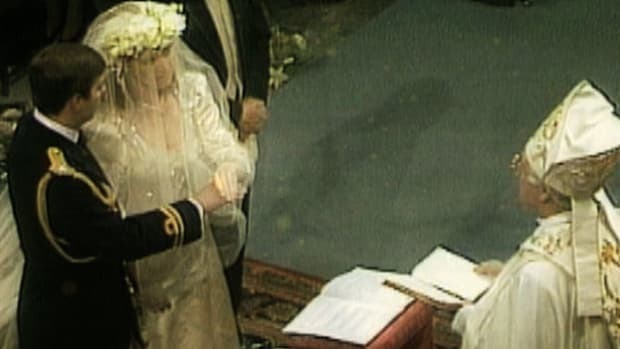 They then transferred the boulders onto rafts and floated them first along the Welsh coast and then up the River Avon toward Salisbury Plain; alternatively, they may have towed each stone with a fleet of vessels. More recent hypotheses have them transporting the bluestones with supersized wicker baskets or a combination of ball bearings, long grooved planks and teams of oxen. As early as the 1970s, geologists have been adding their voices to the debate over how Stonehenge came into being. Challenging the classic image of industrious Neolithic builders pushing, carting, rolling or hauling the craggy bluestones from faraway Wales, some scientists have suggested that glaciers, not humans, did most of the heavy lifting. The globe is dotted with giant rocks known as glacial erratics that were carried over long distances by moving ice floes. Perhaps Stonehenge’s mammoth slabs were snatched from the Preseli Hills by glaciers during one of the Ice Ages and deposited a stone’s throw away—at least comparatively—from Salisbury Plain. Most archaeologists have remained cool toward the glacial theory, however, wondering how the forces of nature could possibly have delivered the exact number of stones needed to complete the circle. According to the 12th-century writer Geoffrey of Monmouth, whose tale of King Arthur and mythical account of English history were considered factual well into the Middle Ages, Stonehenge is the handiwork of the wizard Merlin. In the mid-fifth century, the story goes, hundreds of British nobles were slaughtered by the Saxons and buried on Salisbury Plain. Hoping to erect a memorial to his fallen subjects, King Aureoles Ambrosias sent an army to Ireland to retrieve a stone circle known as the Giants’ Ring, which ancient giants had built from magical African bluestones. The soldiers successfully defeated the Irish but failed to move the stones, so Merlin used his sorcery to spirit them across the sea and arrange them above the mass grave. Legend has it that Ambrosias and his brother Uther, King Arthur’s father, are buried there as well. While many believed Monmouth’s account to be the true story of Stonehenge’s creation for centuries, the monument’s construction predates Merlin—or, at least, the real-life figures who are said to have inspired him—by several thousand years. Other early hypotheses attributed its building to the Saxons, Danes, Romans, Greeks or Egyptians. 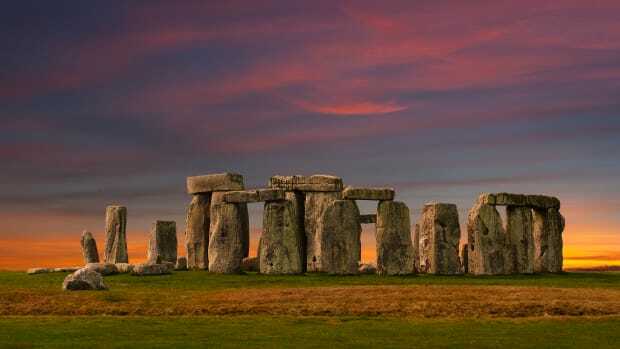 In the 17th century, archaeologist John Aubrey made the claim that Stonehenge was the work of the Celtic high priests known as the Druids, a theory widely popularized by the antiquarian William Stukeley, who had unearthed primitive graves at the site. 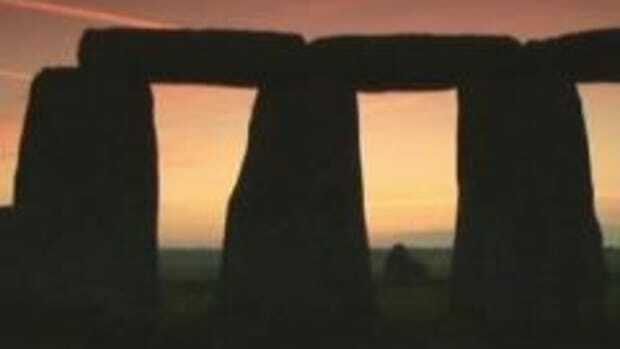 Even today, people who identify as modern Druids continue to gather at Stonehenge for the summer solstice. However, in the mid-20th century, radiocarbon dating demonstrated that Stonehenge stood more than 1,000 years before the Celts inhabited the region, eliminating the ancient Druids from the running. Many modern historians and archaeologists now agree that several distinct tribes of people contributed to Stonehenge, each undertaking a different phase of its construction. Bones, tools and other artifacts found on the site seem to support this hypothesis. The first stage was achieved by Neolithic agrarians who were likely indigenous to the British Isles. Later, it is believed, groups with advanced tools and a more communal way of life left their stamp on the site. 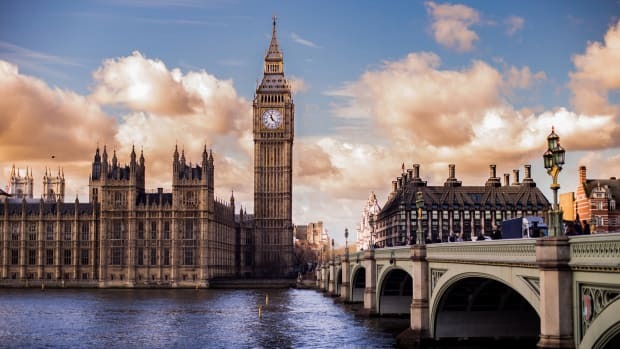 Some have suggested that they were immigrants from the European continent, but many scientists think they were native Britons descended from the original builders. 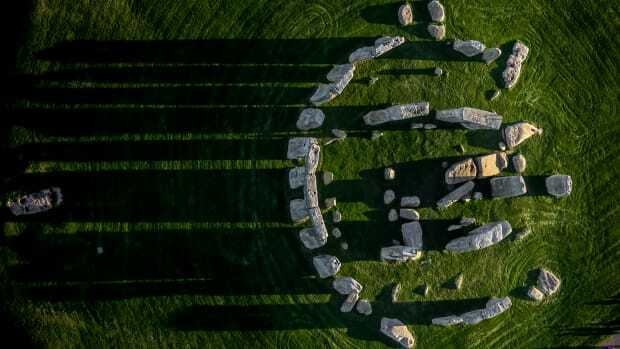 If the facts surrounding the architects and construction of Stonehenge remain shadowy at best, the purpose of the arresting monument is even more of a mystery. While historians agree that it was a place of great importance for over 1,000 years, we may never know what drew early Britons to Salisbury Plain and inspired them to continue developing it. There is strong archaeological evidence that Stonehenge was used as a burial site, at least for part of its long history, but most scholars believe it served other functions as well—either as a ceremonial site, a religious pilgrimage destination, a final resting place for royalty or a memorial erected to honor and perhaps spiritually connect with distant ancestors. In the 1960s, the astronomer Gerald Hawkins suggested that the cluster of megalithic stones operated as an astronomical calendar, with different points corresponding to astrological phenomena such as solstices, equinoxes and eclipses. 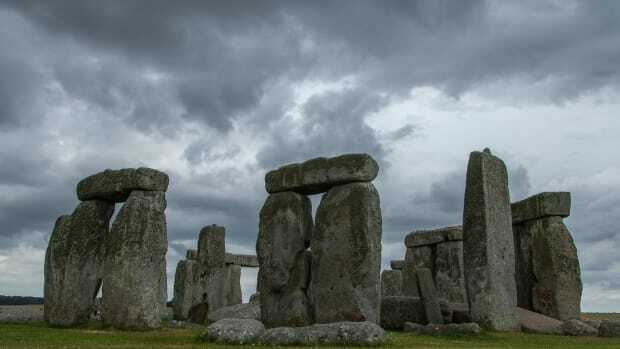 While his theory has received quite a bit of attention over the years, critics maintain that Stonehenge’s builders probably lacked the knowledge necessary to predict such events or that England’s dense cloud cover would have obscured their view of the skies. 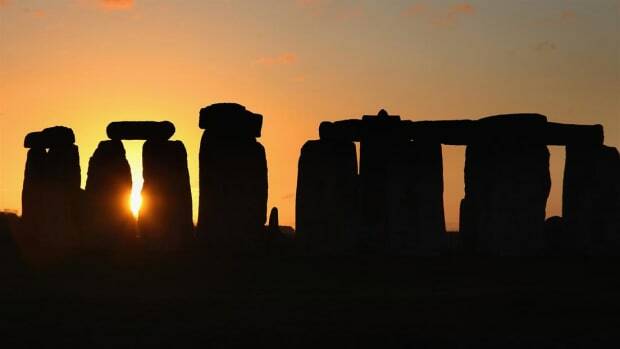 More recently, signs of illness and injury in the human remains unearthed at Stonehenge led a group of British archaeologists to speculate that it was considered a place of healing, perhaps because bluestones were thought to have curative powers. One of the most famous and recognizable sites in the world, Stonehenge draws more than 800,000 tourists a year, many of whom also visit the region’s numerous other Neolithic and Bronze Age marvels. In 1986 Stonehenge was added to UNESCO’s register of World Heritage sites in a co-listing with Avebury, a Neolithic henge located 17 miles away that is older and larger than its more famous neighbor. Stonehenge has undergone several restorations over the years, and some of its boulders have been set in concrete to prevent collapse. Meanwhile, archaeological excavations and development of the surrounding area to facilitate tourism have turned up other significant sites nearby, including other henges.